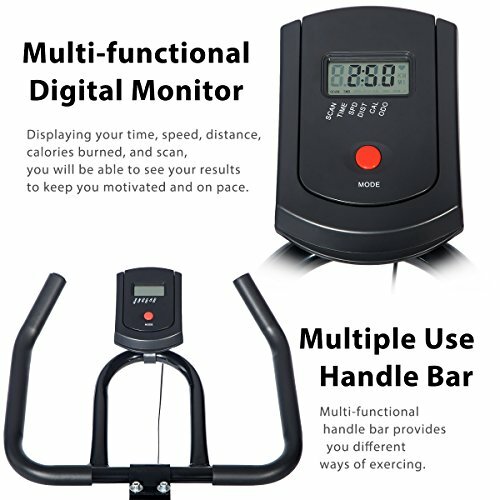 Multiple Use Handle bar Multi-functional handle bar provides you different ways of exercing. 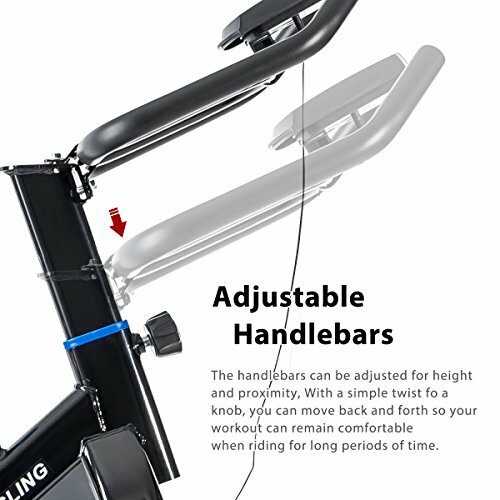 You may grasp the top handle bar for your shoulder work out while you can also grasp the down handle bar for your waist build up exercise. Fully adjustable wide leather padded seat, can easy moves forward/back and up/down. 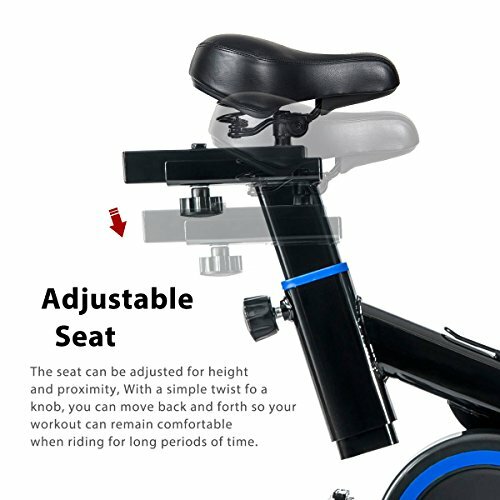 The seat can be adjusted for height and proximity to handlebars in order to fit different height or arm length. 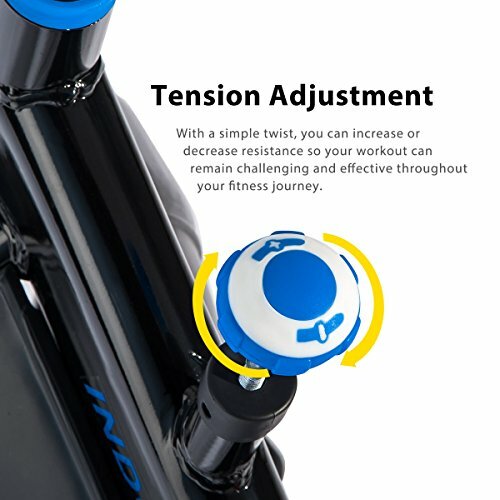 With a simple twist of a knob, you can move back and forth (and up / down) so your workout can remain comfortable when riding for long periods of time. 22 lbs chromed solid flywheel for stability with felt pads for adjustable pressure resistance. 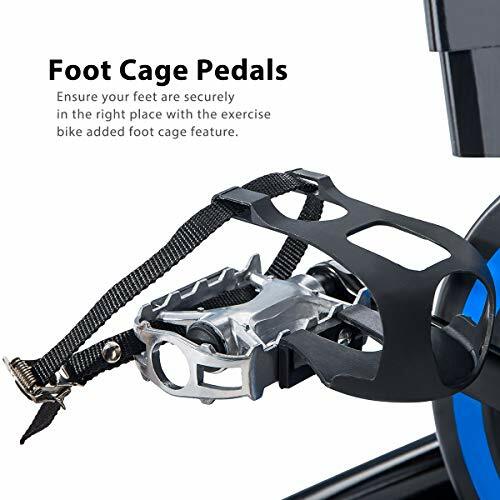 It is smooth and consistent when pedaling. Creating more momentum for longer periods of time keeps your workout going the distance. 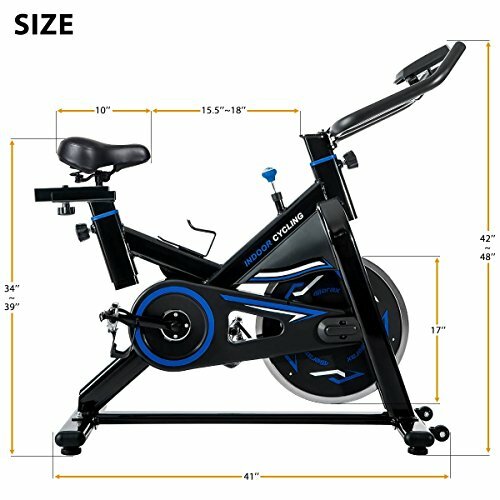 Built-in transportation wheels provides easy portability and relocation of the stationary bike from room to room. 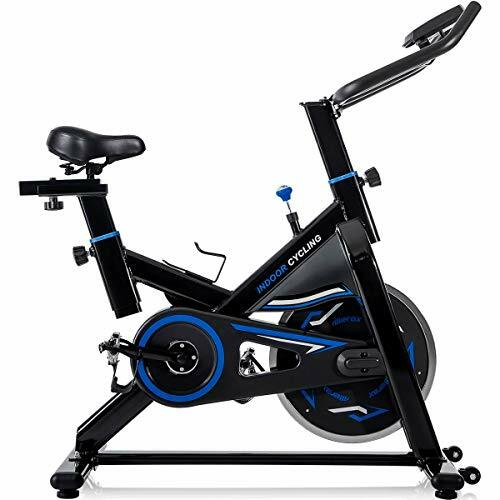 Simply tilt the roll out the bike trainer and you can instantly turn your room a indoor fitness studio, or easily store it away. No need for heavy lifting or muscle strain.